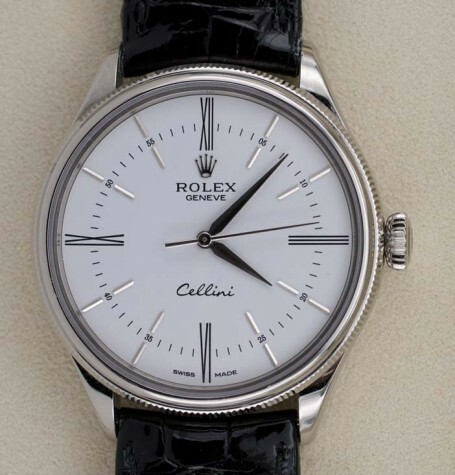 This Rolex Cellini reference 50509 is in like new condition. 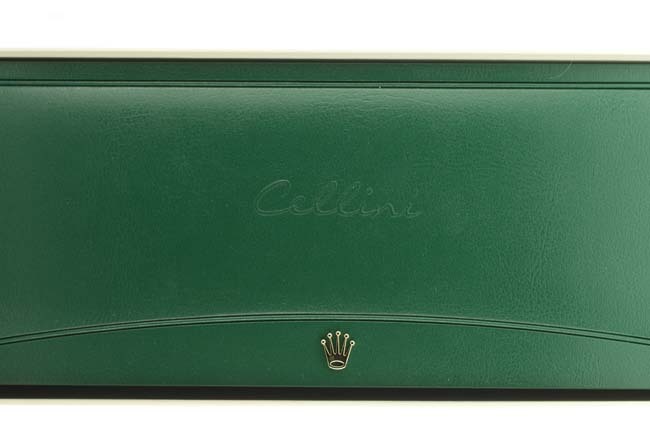 It comes with all boxes, paperwork and tags. 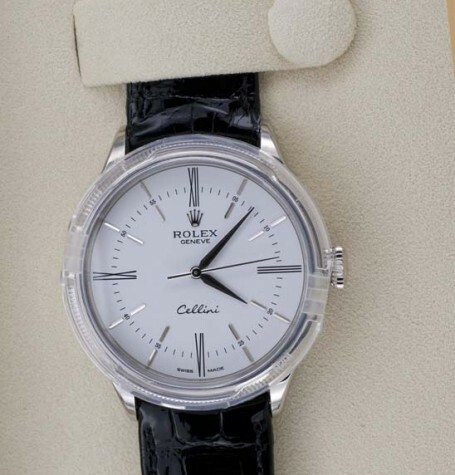 The Rolex Cellini line was revamped by Rolex in the last few years and they have introduced many new models. 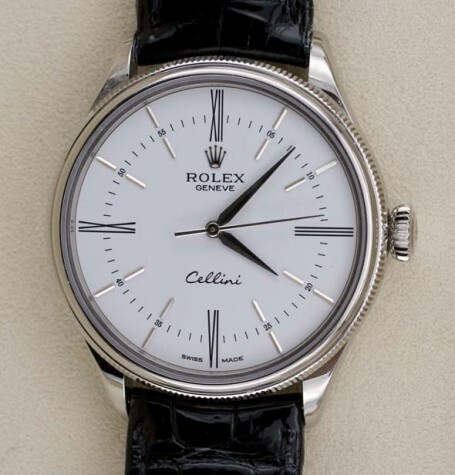 This Rolex Cellini 50509 Time model, features a solid 18k white gold case with a coin edge bezel around the large white dial. 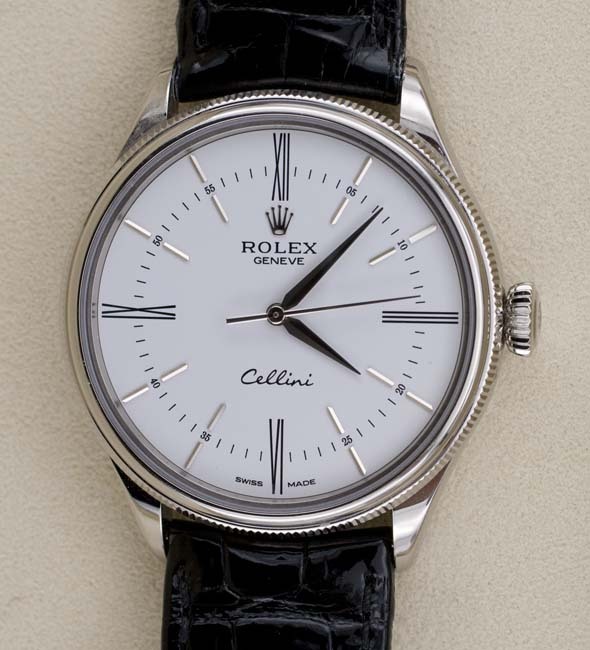 The very simple dial on this watch features white gold applied batons at most indexes except for the stylized Roman numeral painted on markers at the 12, 3 6 and 9 o’clock markers. 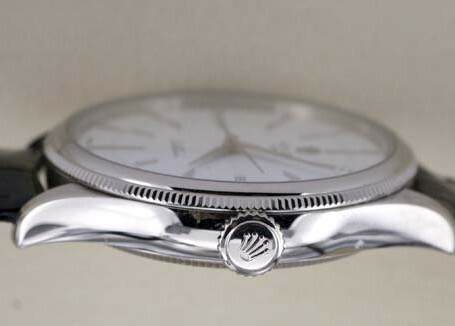 The simple yet elegant layout is a classic design which it makes it very easy to identify the time being indicated by the pointed white gold hands fitted. 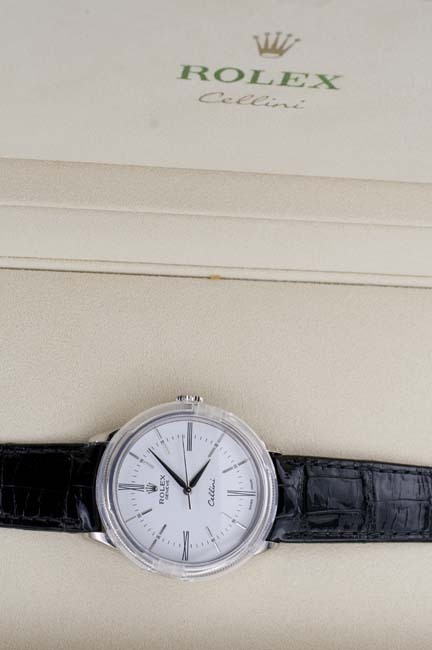 There is also a delicate seconds track painted on the inside of the outer hour white gold batons. 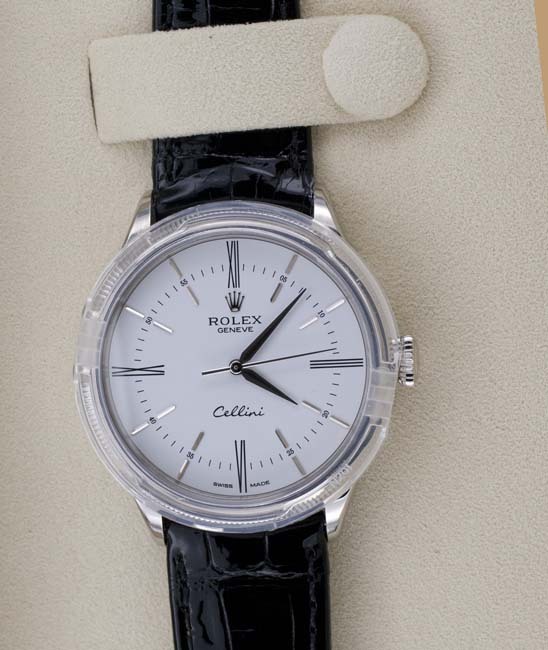 Another benefit of a large dial, especially a white one, is that it does make the watch seem larger on the wrist. 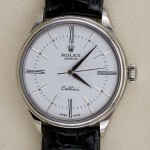 The watch is fitted with a 31 jewel automatic Rolex calibre 3132. 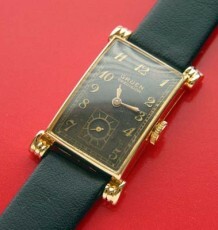 The movement is a beats at 28,800 beats per hour and carries a power reserve of approximately 48 hours. 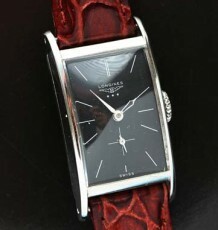 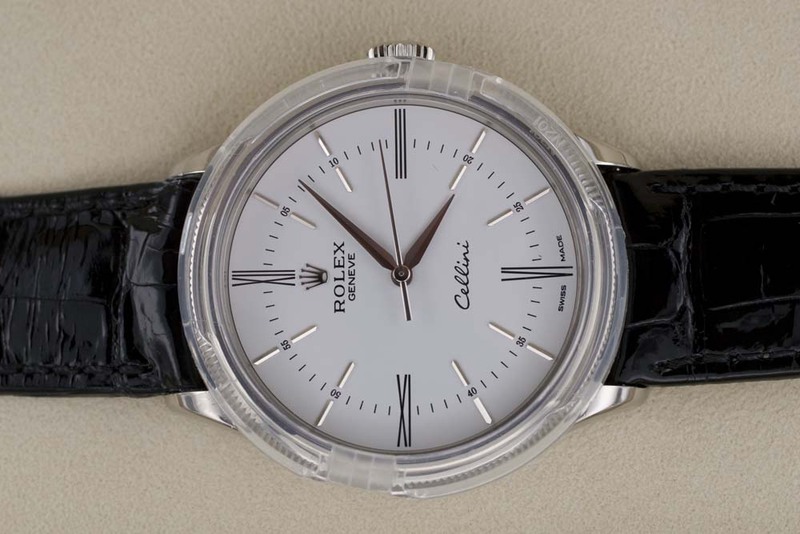 The solid white gold case measures 39 mm wide and is fitted with a sapphire crystal over the dial. 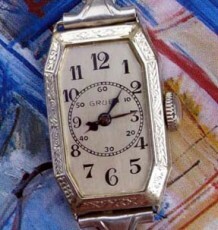 The movement is covered by a white gold case back. 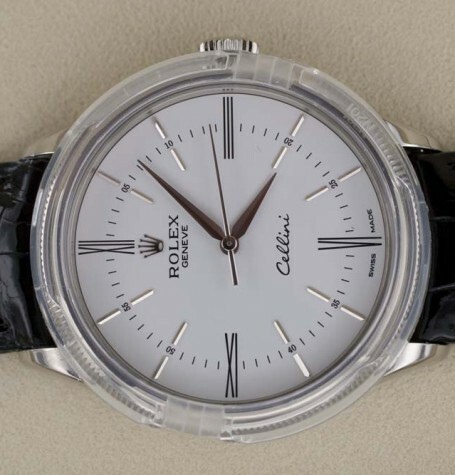 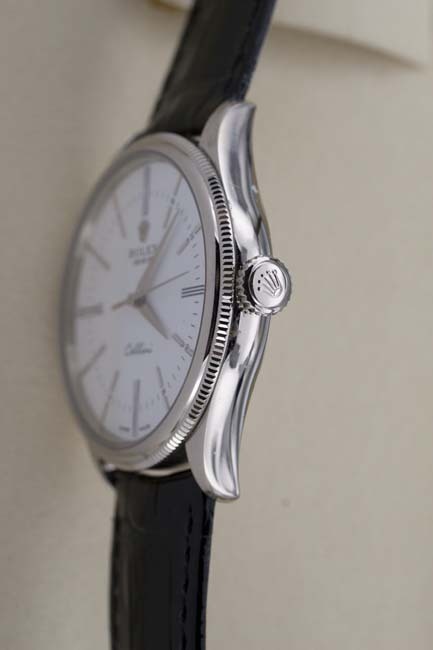 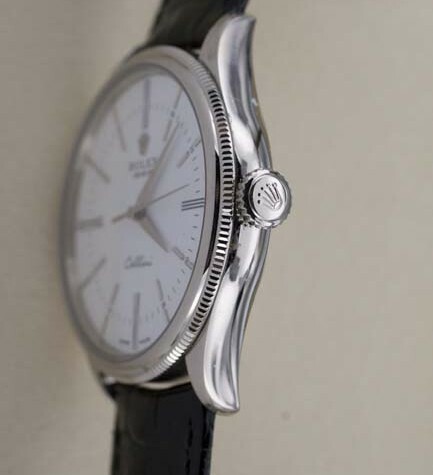 This Rolex Cellini also features a vintage style angled, screw down crown instead of the more utilitarian shape of the Oyster crown fitted on Rolex Oyster cases. 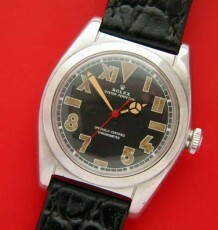 The watch was purchased and worn once. 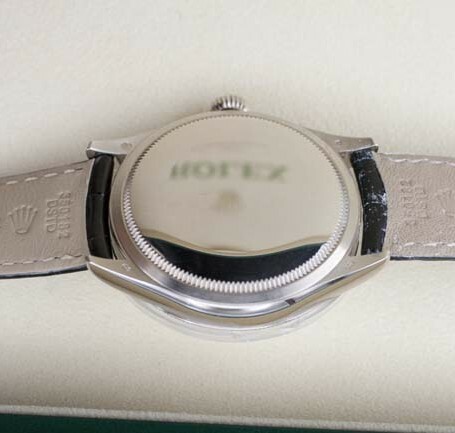 The previous owner placed it back in the green leather box and reinstalled the outer acrylic bezel protector. 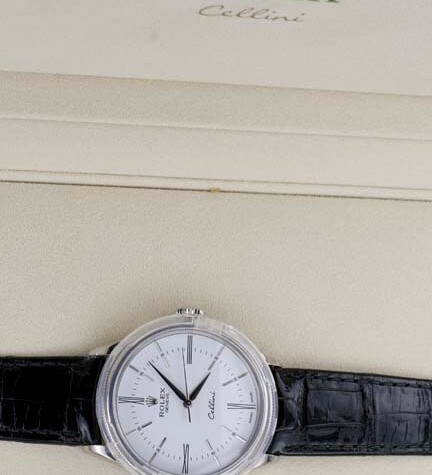 This watch is like new. 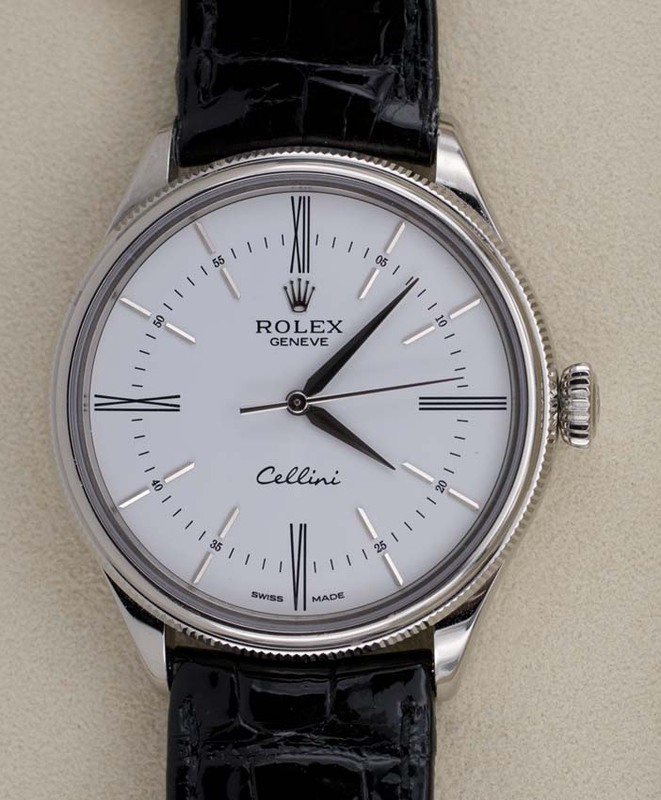 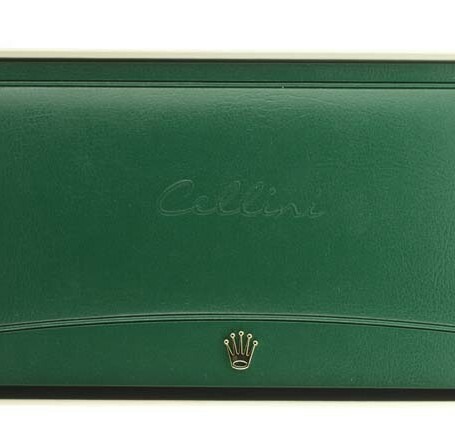 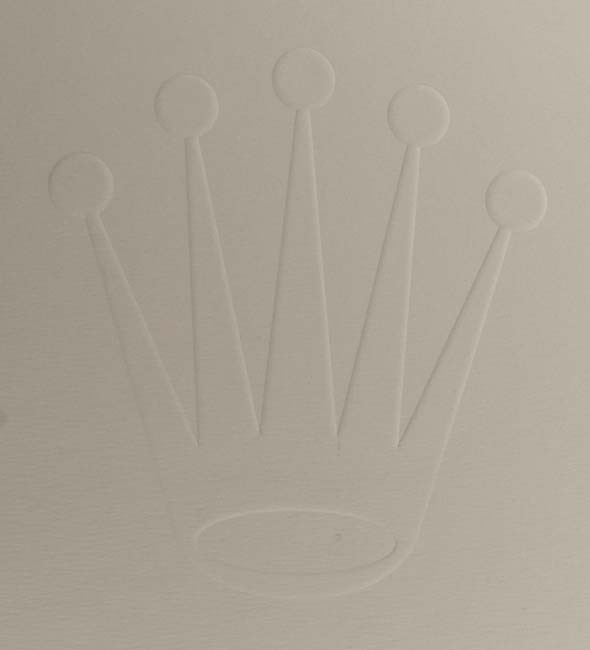 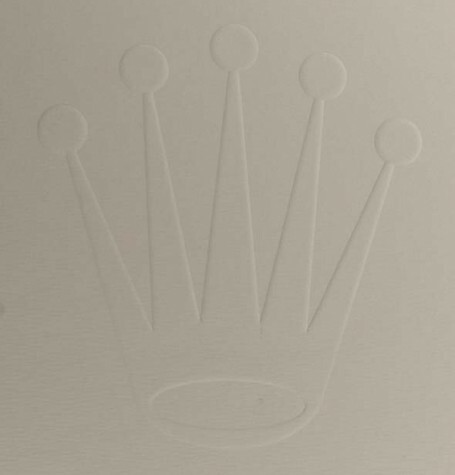 This Rolex Cellini 50509 comes with the complete package of external cream coloured, crown embossed, Rolex box, the inner green leather box as well as all the trimmings inside. 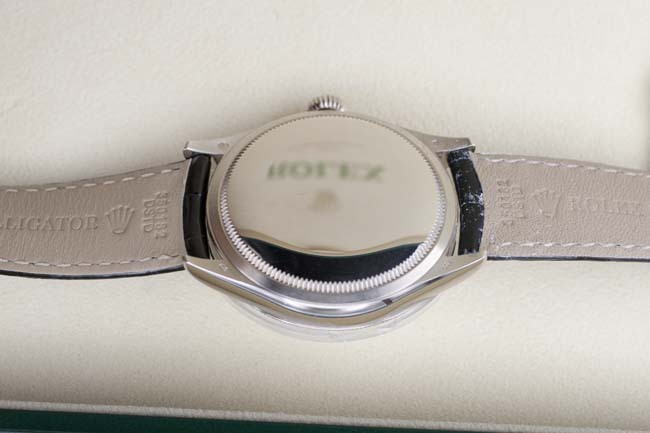 The warranty is dated February , 2015 and was sold by an authorized retailer in Canada. 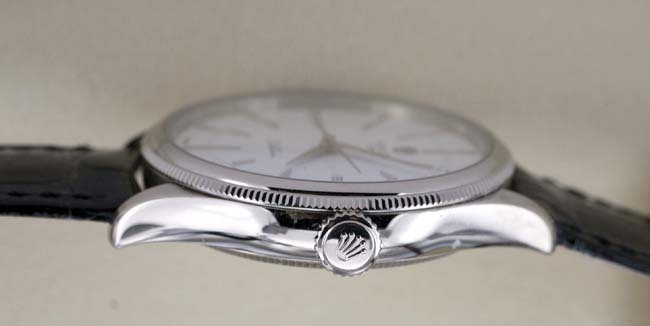 For more information please see the Rolex page for this wonderful model.